Injustice #19 is the first issue to feature art by the great Kevin Maguire. On the off-chance you're unfamiliar with Maguire's previous work (see my reviews of World's Finest for some of his most recent work), know that he's probably most famous for his work on Justice League with Keith Giffen & JM Dematthias. He's also, in my opinion, the greatest artist working today when it comes to drawing facial expressions - a specialty that we see showcased throughout this issue. The script by Tom Taylor switches between two different stories. 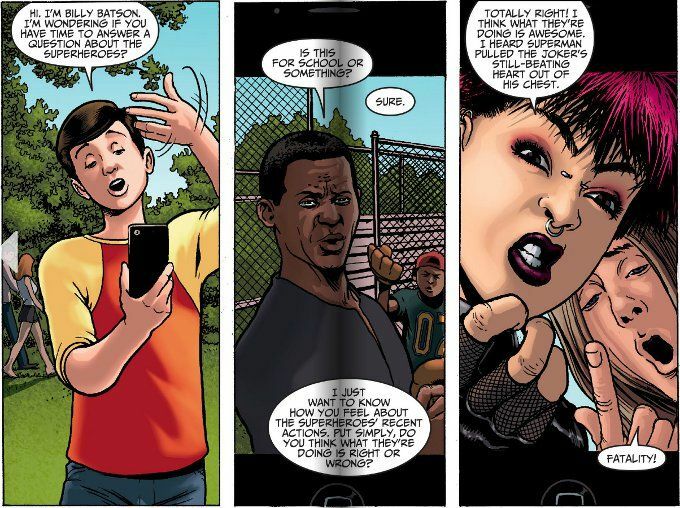 In half the story, we see Billy Batson, Boy Blogger interviewing various people on their opinions regarding Superman and his regime taking more drastic actions to insure world security. 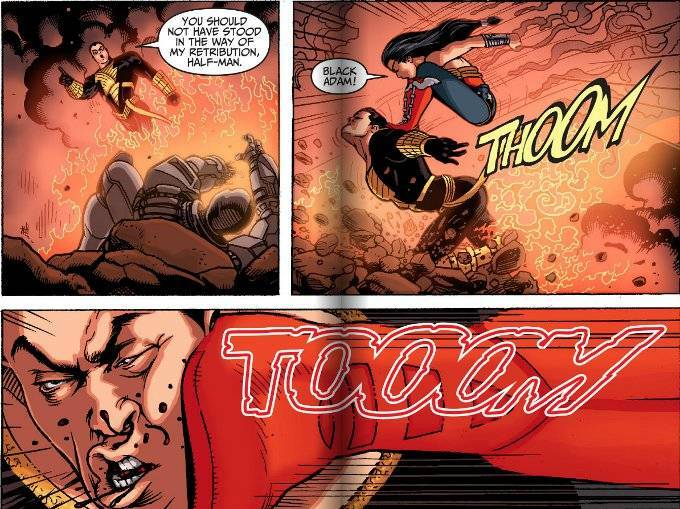 In the second half, we see the incident that prompted this questioning - a battle between the Justice League and Black Adam. The battle leaves Billy questioning both his own judgement as well as The Wisdom of The Solomon, leading to a surprising conclusion. If you haven't read an issue of Injsutice before now, this is a fine one to start with. The story is well-paced and the interweaving of Billy Batson's interviews with the big battle proves an effective conveyance for both this issue's stories. The artwork is as grand as you'd expect from Kevin Maguire. Overall, it's worth far more than its' 99 cent asking price.